"Kathy was readily available to help us and answer our questions. She did a great job in presenting the house!" "Kathy's attention to detail and vast real estate knowledge made for a very quick and smooth sale. She is always available and made a daunting task bearable. Her contractor resources saved us a great deal of money on necessary repairs needed for the home. I would recommend Kathy to anyone who wants a hard working honest realtor." "Kathy helped us buy our first home 2 years ago! She made it easy to decide on what we were looking for! We would highly recommend her! Even now when we have a question she is always quick to respond to our phone calls and emails. Thanks again Kathy for all your help :)"
"Kathy sold our Gurnee home recently. Her integrity, honesty, and knowledge were very impressive. She staged our home and used quite a few of her own decorations to make our home pop. Her communication skills are excellent. She always responded to us promptly and worked proactively to get our home sold quickly. I highly recommend Kathy!" "Very compassionate with my situation and new my subdivision very well. Excellent agent. Had my house sold quickly. I also bought a home through her. I would recommend her and use her if needed in the future!" "Kathy Morrissey is great! She knew when I was getting overwhelmed. She expressed her opinion on the marketplace, but didn't push when I felt differently.. For example, when I was willing to "update" or when I thought the house was OK as it is. She's a very good realtor that learns her seller's personality and wishes. I would definitely recommend her to any other seller." "Kathy truly listened to our needs and wants for a home and she helped us navigate at least 3 different areas to figure out the best place for our family. She was extremely knowledgeable and really attentive every time we phoned her! Absolutely fantastic ! I would highly recommend her to anyone looking to buy or sell"
"Kathy helped me find a new home on our first day looking. The third house to be exact. Kathy listened to what i was looking for and found it. This is the second time I worked with Kathy. She sold my house and business too. It was a difficult property with 21 acres and a dog and cat boarding business. Closing date was within 11 months. Amazing. Kathy keeps up with every detail, every step of the way." "Kathy really listened to our needs and wants in searching for our perfect home. My huaband and I were very new to the home buying process and Kathy made it easy to understand. She gave us handouts with timelines that made the process smoother. Kathy was always available and responded to our questions immediately. Our home buying process was made smooth thanks to Kathy!!" "Kathy was very knowledgeable about the area. She was responsive and was flexible when dealing with my varied schedule and availability. Kathy also recognized by 'style' even though I did not recognize it myself and helped me find the perfect home for me!" "Kathy is an agent you really want to have, who truly cares about her client. She gave me thoughtful and analytic advice on purchase and sale prices, and guided me through whole processes. She always responds my questions quickly, and stands by me when issue came up. I am very grateful to have her being my agent twice." "My husband and I are first time homebuyers. We literally have no idea what we are doing. We stumbled across Kathy at an open house and when we got back to our car we both said, "I think we found our agent!" She called the next day and spent an hour on the phone guiding us through a lot of information. I am floored by how generous she is with her time. She is very knowledgeable and I know she will guide us to a successful first purchase!" "Thank you Kathy Morrissey and @properties for such an amazing experience buying/selling my home. I was dreading this process for years, thinking it would be too stressful and overwhelming. Working with Kathy made this process for us meaningful. Kathy went above and beyond for my family making sure we were as comfortable with the presentation of our home and making sure we understood every step of the process fully. She was there to answer our 100 plus questions every time we called, and made us very comfortable with the whole scary process....(as we loved our home very much). This was a very exciting/scary process for our family and we are now in our new home, very happy! I’m very grateful Kathy was our Realtor. Thank you for your great advice and your reliability. You make us look back at our move as a fun and enjoyable process! We also Thank you for STILL checking up on how we are doing in our new home. We appreciate working with you and @properties. For anyone who was as SCARED as we were to start this process, you can trust Kathy Morrissey to guide you through your journey by selling/buying your next new home!!" "Kathy was great during this whole process. She was very supportive and responsive during my home search and the contract and closing phases. I would absolutely recommend her to others looking to buy or sell a home." "Kathy Morrissey did a fantastic job with both selling and purchasing our house. She helped make the process go smoother than I ever could've imagined. Kathy's professionalism, integrity, and dedication to her clients, provided a wonderfull, stress-free experience!" "Kathy Morrissey is very good at what she does. She is honest, trustworthy, and knows her stuff ! I would recommend Kathy to anyone buying or selling their home." "We were first time home buyers and had zero knowledge of the entire process. Kathy helped us understand all the moving parts required to purchase a home. She was always available to answer questions, returning our calls or emails normally within minutes. By the end of the process we felt like she was a member of my family. We never felt rushed or pressured into anything. We have the house we wanted because of Kathy and plan on using her for all our future home purchases/sales." "It was great to work with Kathy once again." 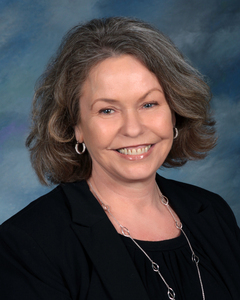 "Kathy Morrissey was an excellent realtor for my husband and me. I was referred to her by my Wisconsin realtor. Every time we needed questions answered or tasks completed, she quickly responded and went above and beyond our expectations. She helped stage our home with her knowledge and belongings, as well. When she had questions, she consulted those around her. Her integrity, work commitment, and honesty were a joy to behold and beware, her positive energy is contagious!" "Kathy Morrissey is unbelievable how good she is at helping us secure a renter for our home. She worked days and nights. I'm so glad we contacted her. She's extremely professional. Thank you Kathy"
"We recently had the pleasure of working with Kathy as we made a dream a reality. Our dream was to move to a lake home and we needed to sell our place in Gurnee. Kathy was instrumental as a realtor and as a consultant to get the place sold.She helped stage the home, making useful suggestions and providing a lot of good insight and market analysis. In the course of being a professional, she became a trusted advisor and friend." "I just wanted to thank each and everyone of you who helped my wife and I close on this townhouse in such an abbreviated time frame. We truly appreciate all the hard work and expertise. If any of my friends or family decide to move to this area I will recommend each and every one of you. Thank you again." "Kathy has worked with me selling my previous property and buying my current home. Kathy pays close attention to detail and guided me throughout the process if buying and selling. Kathy is amazing! I highly recommend her!" "Kathy Morrissey is the best in the business. She goes out of her way using all the latest high tech marketing to get your house sold and if you are looking can find that dream house with in budget. I highly recommend her." "I cannot say enough about Kathleen I was very stressed, so every step seemed alarming, not being in the area made it especially difficult, especially the inspection report. Kathleen shared her best thinking and in the end, it worked out. She is the only realtor I've worked with or known who I sincerely trust." "I just knew when I met Kathy that she was the one to sell my house. I had total trust in her and she didn't disappoint! I think she was very thorough and knowledgeable about the market. Not sure anyone else would have done a good a job at getting us the price we wanted!" "She was always so patient with us. She helped us minimize our search to what we were looking for! She always kept her promise and when she said she was going to do something she did it. She also always made herself available. She also went above and beyond after we purchased our home. She gave us a welcome home card with a gift card to a local place in Grayslake. If someone was looking to purchase a house, I will refer them to Kathy." "Kathy puts part of herself in each sale." "Three days after the house went under contract, the neighborhood was hit by a tornado & I was out of town. Kathy helped clearing down trees and cleaning up the property til I got home a few days later. She went above and beyond as an agent ever could do. She was outstanding throughout the whole process of selling my house." "Kathy- We cannot thank you enough for everything you have done for our family! From getting our house sold, getting what we wanted for it and getting the date we needed to buying us our Lovin' Oven cake for Jared's commissioning! You have been wonderful in walking us through this whole process and we appreciate your going to bat for us. We have felt blessed by just getting to know you! Take care & thanks again!" "Was fairly happy with past realtors used, “ then I worked with Kathy. She surpassed all previous experiences." "Kathleen was flexible and understanding of my fluid schedule. Many times I had to postpone or ask for last minute showings. Kathleen never appeared to be inconvenienced and really worked to accommodate my schedule and needs. From the start of the home buying process I felt and stated I did not have a style. However, Kathleen quickly recognized I did. I never felt pressured in any way and (though I plan for this to be my last move) I would work with Kathleen again.SB Grayslake"
"Buying / selling has been stressful at time but I always knew you were very knowledgeable and behind me on everything. It really was busy and fast paced but you were ready for anything. I really appreciate it."